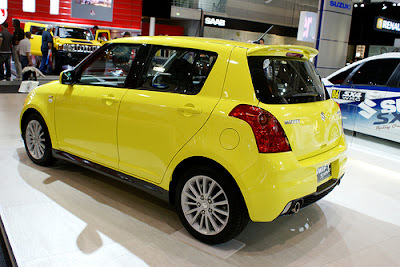 Im having trouble coming a cross a Swift owner locally who I can chat with to get a paint code and year model of them. I hoping a member on here can chime in with some info of their Swift if they have that colour. Im painting my Sierra (keeping with a Suzuki colour) and wanted to go with the Fluro Yellow that there is currently out but cant seem to get hold of a paint code with a year model as well. Im after the colour code below, I went to a dealer and they want VIN Numbers, and at the moment there is none in the car yard to sneak a quick peak. Will send you the vin numbers via pm tomorrow i have a 2006 yellow swifty. Nearly 3 years old and the colour hasnt fadded one bit still as bright as ever. I'm interested with the same color too.. please helep me with the code for the yellow and grey below.. I think the code is ZFT champion yellow 4. And torque is how much you push the wall out of true.